To celebrate his legend, the first six Dio albums have been reissued in the brand new box set A Decade Of Dio: 1983-1993. As the title suggests, the set covers the first ten years of his solo career. Unfortunately, there is no additional unreleased material, but all of the albums have been remastered, as those original CD releases are not up to standard. At an incredible price point (selling for just $30 for the entire box set), this is a perfect place to dive into Dio’s solo career if you aren’t familiar with it. Dio has played with many musicians throughout his solo career, but the original lineup of Dio, Vivian Campbell, Jimmy Bain and Vinny Appice still stands as the tightest and most significant. Despite never reaching the heights of his first two releases, there is a plethora of strong material scattered throughout the rest. Some albums are stronger than others with the incredibly underrated Strange Highways standing out. By far the heaviest release of his solo career, “Jesus, Mary & the Holy Ghost,” “Evilution” and the title track will all melt your brain with crushingly destructive riffs. Other deeper tracks that find Dio at their best are Dream Evil’s “All The Fools Sailed Away” and “I Could Have Been A Dreamer.” On Lock Up The Wolves there’s “Wild One” and the astonishing “My Eyes,” which could be Dio’s most under appreciated song. Sacred Heart wasn’t initially received all that well, but has aged in a good way with “King Of Rock And Roll” and the title track (did Dio ever not named an album after an incredible song?) showcasing infectious melodies. 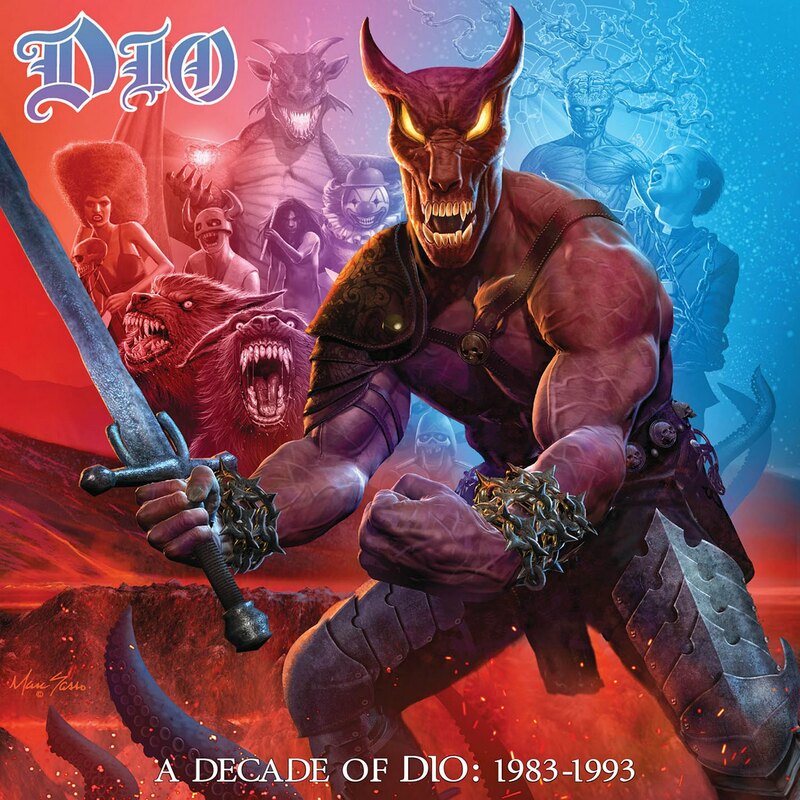 A Decade Of Dio is an unbelievable release, highlighting one of the best solo careers metal has ever seen. Even if you own the original recordings, the reissue is worth the price for the remastered sound alone. If you’re only familiar with “Heaven And Hell” and “Holy Diver” and haven’t ventured into Dio’s solo discography, don’t walk but run to pick this up.